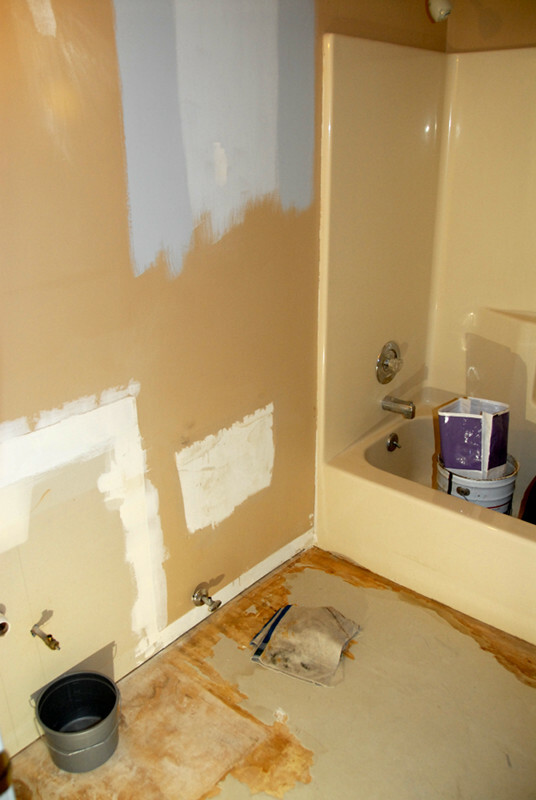 I have a hankering to refurbish our bathroom, but there’s nothing terribly wrong with it (it’s just tired) so I can’t justify it. I am, however, going to repaint and Mr Snail has promised to make a new panel for the side of the bath, so that should help. Dear Mr. Snail, so handy to have about! And paint is a wonder … the effect achieved for the cost and effort put in is remarkable. I always wonder why we didn’t paint sooner. I quite like the painting, the preparation beforehand not so much! Ditto. And washing out brushes and roller covers afterward, outside … in the dark … tired … I don’t want to think about it!